Use the Quick & Powerful “tools” every day to train a firm mind to rule over your fickle feelings! (see the "Quick & Powerful" tools.) 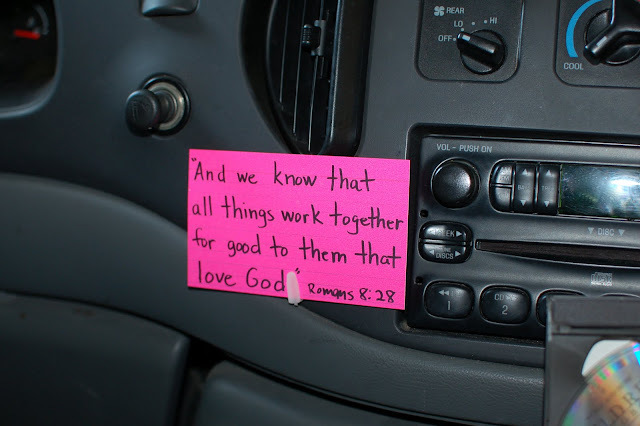 Post your most needed “tools” around your house & car where you will see them often and memorize! Rotate as needed, but always keep learning! This is a small card in our powder bathroom. On the wall near a busy stairway. Also, spend a minimum of 15 minutes a day in studying the word of God (esp. The Book of Mormon) and writing down your thoughts. One hour is much more ideal. It is the spiritual, emotional & mental “air you breath”, and not a selfish luxury. You cannot give to your family what you do not have! Pray for guidance as to the best way to schedule this for YOU! Start de-junking your mind of negative, critical thoughts (and words) for a much better mother for your children. Humble, sincere gospel study produces “higher” thoughts. Also learn to nourish yourself while “feeding” your children spiritual and academic knowledge by teaching reading with “Learning to Read Using the Book of Mormon” by Camille Funk (or purchase the extra large print version of The Book of Mormon). I have experienced miracles by patiently doing this! I was sure my son had dyslexia after trying several different phonics programs and also drilling with flash cards repeatedly. But progress was finally made after simply consistently reading The Book of Mormon with him. What a blessing! Get everyone to pitch in and work to bring physical order to your home. They'll be much happier souls without a doubt! But unless you've been one of those wonderfully consistent parents you may need to put up with a little or perhaps a lot of initial grumbling! 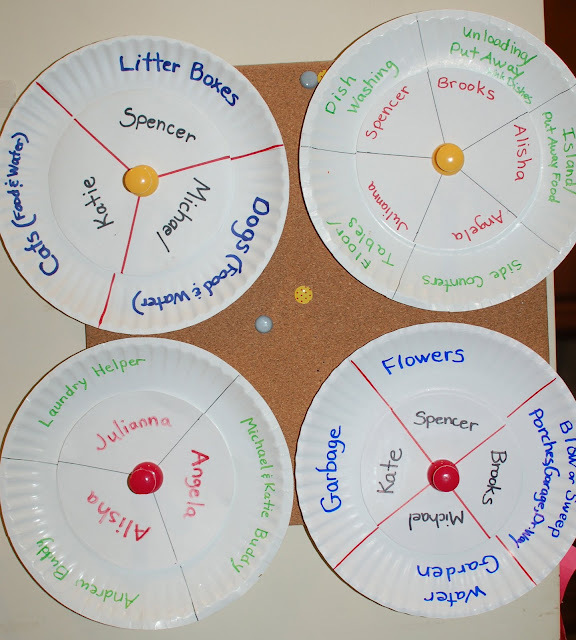 Fairness seems to rule at my house and I've been amazed at how this simple “Paper-Plate Wheel Rotation System” keeps my house from falling apart! Some wheels we rotate MONTHLY like "buddies" and "laundry helper". Other wheels we rotate WEEKLY like the various kitchen jobs, garbage and pet jobs. This is especially helpful for the more time-consuming or less desirable jobs around the house. My children know everyone gets their fair turn and as a result there is little if any complaining and MUCH more compliance. Ahhh, I love it! This simple, inexpensive solution can be changed easily with the seasons or with changes in children's abilities or free time available. (i.e. we have "bring in wood" instead of "water garden" in the winter.) I've tried countless systems and methods, but S-I-M-P-L-E spells S-U-C-C-E-S-S in my book! Your children will be blessed with greater abilities, confidence and a feeling of being needed in the family as you have them be a part of your "team". All of this equals a happier, more balanced young person! We have a chosen a "theme" for each day of the week to simplify meal planning. (This is a small magnetic pad I got from the "dollar" section somewhere.) You can be as flexible as you wish, but general consistency helps! Give Family Meal Time VERY high priority. Columbia University found teens who have fewer than three family dinners per week are: 2½ times likelier to smoke cigarettes, more than 1½ time likelier to drink alcohol, almost three times likelier to try marijuana. We use K-9 Web Protection, a free computer filter download K9 Web Protection - Free Internet Filter and Parental Control Software | Free Internet Filtering and Parental Controls Software, or BeSecure Bsecure - Ultimate Online Family Protection on all computers, ipads, etc. We also keep TV channels locked other than BYUTV to reduce distractions. This helps to greatly simplify life, however, we as parents must still be constantly on guard when it comes to electronic media, movies and music. Sure, it would be much easier and convenient to say, "But I want to trust my child/children". The fact is, as brain and developmental scientist have pointed out, that it is completely "natural" for children and youth to seek out things that will give their minds the most stimulation for the least amount of effort. Satan knows this all too well and is targeting them constantly with more and more entertainment options and alluring media content. But that is why they are "the children" and we are "the parents". Be a wise parent and do all you can to save the hearts, minds and talents of your family! Avoid starting the tradition of sleepovers while children are young. This will also simplify life and greatly protect your children from danger. Both Elder Gene R. Cook and Brad Wilcox discuss this in their books. I've noticed this topic can be controversial with some people, but once again, be wise, prayerfully consider this as these decisions can profoundly impact your children for the rest of their lives. Now, before you get nervous and overwhelmed about training these qualities into your children I would like to share my personal observations: When youth or children (or anyone for that matter) have the Spirit with them, they want to learn and are highly motivated to work hard. This inspiration and drive comes from within their own hearts and minds. With home education we are blessed with many more opportunities to help our children have the spirit with them through various means, including using our own examples during more hours in the day. I feel I could have done a far better job in training "study habits" with my two oldest children, however they have both excelled in college. My oldest daughter just graduated with honors from LDS Business College, given scholarship money and was accepted into Brigham Young University (Provo) (update: and has received a FULL TUITION academic scholarship). My seventeen year old son is just finishing his first year of college with all A's as well. He won an apprenticeship with the Utah Festival of Opera recently and will likely have a full-ride scholarship to Utah State University (amazing story: see Agency Education: Success Stories!). But I will tell you, far more important than their more "worldly" achievements, both of these children have strong testimonies of the restored gospel of Jesus Christ. All the credit goes to our Lord for their successes. We have mostly used the Math It game for drilling the basic math facts. Then we just starting them in Teaching Textbooks 3rd grade level. My independently reading older children use Saxon Math and they follow the Robinson classic booklist, http://www.hstreasures.com/rc/booklist.html, TJed booklist, or any other book in our house they feel inspired to read. We have a big foam board where they can mark off books they have read. For many years we have loved to watch Brother Brent DeGraff from Liahona Academy for history with a Latter-day Saint perspective. He is a great inspiring and effective teacher for young people and my children have told me he's had a very large impact on their lives. You don't need to sign up for the accredited courses, but can just keep it relaxed and even watch the lessons as an entire family would be most ideal (We do this during our lunch hour most days). The general age to begin is 4th or 5th grade, but my oldest son was in 2nd or 3rd grade when he began watching and he loved it! Classes run on a school year-type of schedule but only four days per week. PRAY CAREFULLY before committing to ANY regular commitment/activity outside the home (other than standard church programs.) Once your children turn twelve they will have many extra church youth activities to attend. Cherish your time with them prior to this! It will be gone fast! You might be surprised by Heavenly Father's responses as you pray over these things. There have been various classes or things that I thought were great ideas, but after prayer it became clear to me that Heavenly Father knew differently. If we will just finally be humble enough to realize that He can run our lives far better than we can, things will start to fall into place for us and we will find PEACE. We can all improve in this area! Study books like “The Color Code” by Taylor Hartman Ph.D. and “The Likeability Factor” by Tim Sanders, and work hard to make yourself a truly effective leader in your home. Then gently help your family do the same with their own personalities. I love this blog! I am already thinking of many who I will be sending this to. I needed almost every word...I think you should write a book. Thank you for sharing, you are so wise and committed! I really need to improve my health. 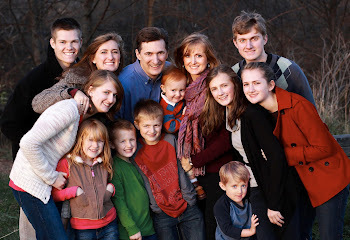 I'm interested in how you do it and nourish such a large family. I am COMPLETELY amazed at all you do. Could you add one more thing to your list and be my mentor? Seriously. I don't take ANY supplements but am thinking it might be time to start (I'm 35). I'm so inspired by you. Thank you for sharing such wonderful advice. Thank you so much for your blog, and all the information I am finding here. It is exactly what I needed to read right now. Just found your blog. I love this post. It's so nice to find a roll model like you who is where I want to be ten years from now. A fasсinating discussion is ԁefinitеly worth comment. subjectѕ. To the nеxt! Bеst ωіshеs! !